What a location- just off Queens Road East. 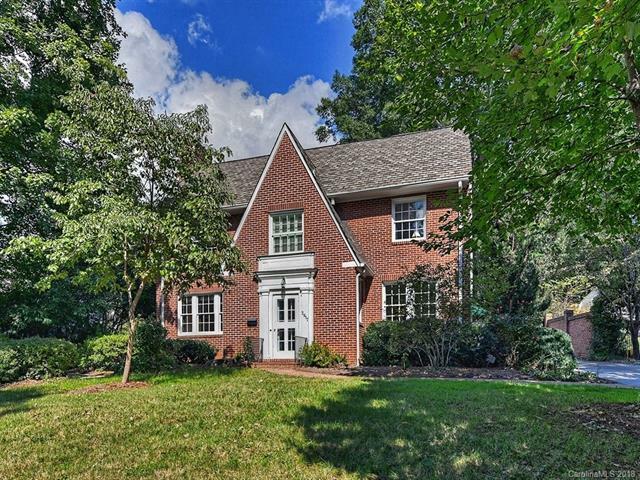 Rare, deep lot that is so private in the heart of Myers Park . This vintage home sits on a piece of property that is just over a half acre, slightly elevated, quiet, beautiful and 300' deep. Built in 1930, this charming house shows pride of ownership both inside and out. Mature landscaping with plantings that bloom year 'round. The architectural features include 9' ceilings, hardwood floors, wide-cased openings, and an abundance of windows and natural light. The rooms are spacious and the floor plan is classic. Lovely formals. Side terrace off of the living room. Cozy den. Kitchen has stainless appliances and custom cabinetry with granite counters. Secluded master suite addition with walk-in closet. Walk-up attic has expansion possibilities. Great storage. A serene setting and a very special home.